The Teton River, winding its way through Teton Valley, Idaho, is the only water-based recreation opportunity for neighboring towns. The blue-ribbon fishery is not only a treasured resource for locals but brings considerable eco-tourism to the valley. In April 2016, the 80-acres surrounding Bates Bridge, the most popular place to access the Teton River, was put on the market, placing public access to the river at risk. Bringing our national expertise conserving land for people, The Trust for Public Land partnered with Teton County, Idaho, and four local non-profit conservation organizations to design a plan for the new 80-acre Bates Teton River Access Park. "This project was truly a community conservation effort,” said Chris Deming, the Wyoming Senior Project Manager for The Trust for Public Land. The entire community understood the project’s urgency and donations of all sizes were received from individuals, foundations, national corporations, and local outfitters. 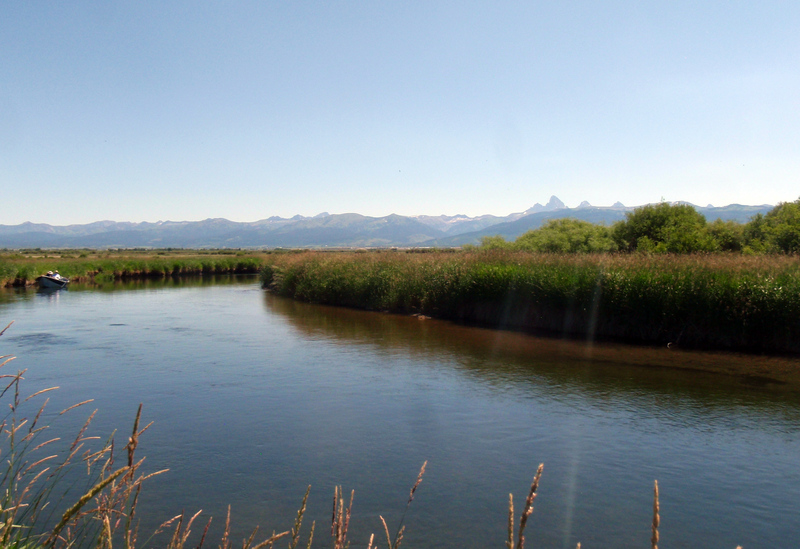 In September 2016, we completed the purchase and transfer of the parcel to Teton County, Idaho, ensuring long-term public access to the Teton River and the protection of vital wetland and river habitat.